If you are not a bodybuilder and even a fan of various supplements experts suggest eating eggs for gaining muscles. Here you can find why the eggs are so helpful. Eat sufficient amounts of protein. The rule is that you need grams of protein between 1.5 times your body weights, for those who are overweight substitute your target body weight. For example, if you weigh 151 pounds, you should eat between 151 and 226 grams of protein every day if you want to consistently gain muscle. Full time bodybuilders can eat 2- 3 times their body weight in grams of protein and sometimes more, but for most of you that would be overkill. Proteins that are perfect for building muscle include eggs. 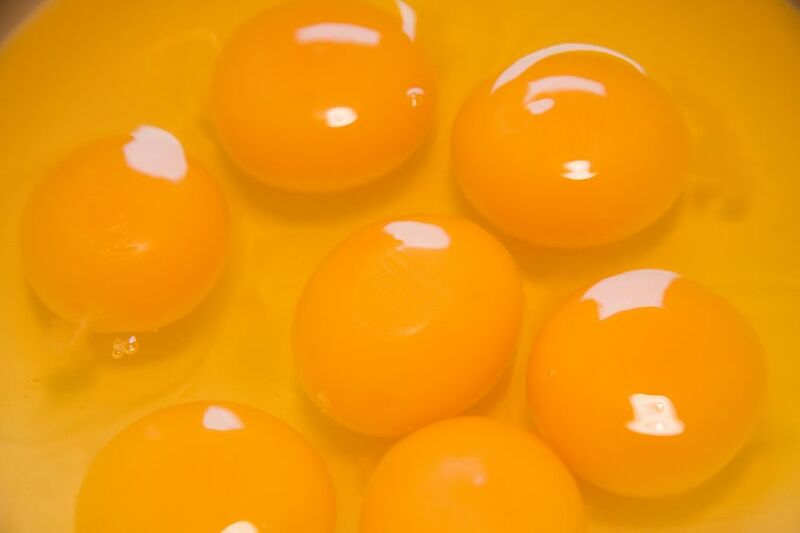 The protein in eggs has the highest biological value. To count calorie for calorie, you need less protein from eggs than you do from other sources to achieve the same muscle building benefits. But you have to eat the yolk. Not only protein but it also contains vitamin B12 that is important for muscle contraction and fat breakdown. And eating a few eggs per day won’t increase your risk of heart disease. Three medium sized eggs give you 250 calories, 21 g protein, 1.6 g carbohydrates, 16 g fat. The perfect protein source- eggs are loaded with cholesterol widely spread as an evil food ingredient, but in reality, full of positive things, such as maintaining testosterone level and the integrity of muscle cell membranes. 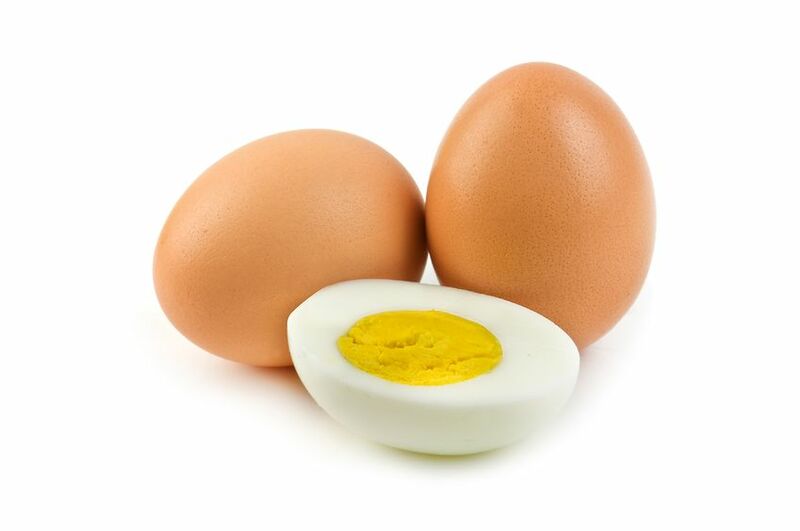 People who ate three boiled eggs a day plus doing a strength training program produce twice the gains in strength and muscle mass than those who consume just one egg or no eggs at all. 640 milligrams per day of additional cholesterol from eggs decreases the amount of bad cholesterol particles associated with atherosclerosis. So eat eggs on any regular meal. 6 eggs should be eaten for breakfast, with the rest eggs at any time of the day. Eggs are nutritious. They help you build muscle. This is partly because of the high amount of fat in the egg yolk, which can help increase levels of testosterone. Plus, eggs contain high levels of protein- the building blocks of muscles. Eggs are a complete protein. They contain all the amino acids necessary to build muscle mass. For sportsmen in strength types of sport, like rugby players, muscle mass building is important. Eating eggs can help promote muscle mass gains. What is more egg is cheaper than protein shake or chicken breast. If you think eating 10 eggs a day is strange, just wait until you try eating or even drinking them raw. Who tried this sort of diet will agree that it works well for a limited time. So my advice is to eat more eggs and animal proteins. Do not forget heavy lifting, such as squatting. It is also very important. And please always remember that large change to your muscle mass takes many years to develop, even with a powerful training program.